The Long Island Caddie Scholarship Fund has announced its scholarship recipients for the 2018-19 academic year. 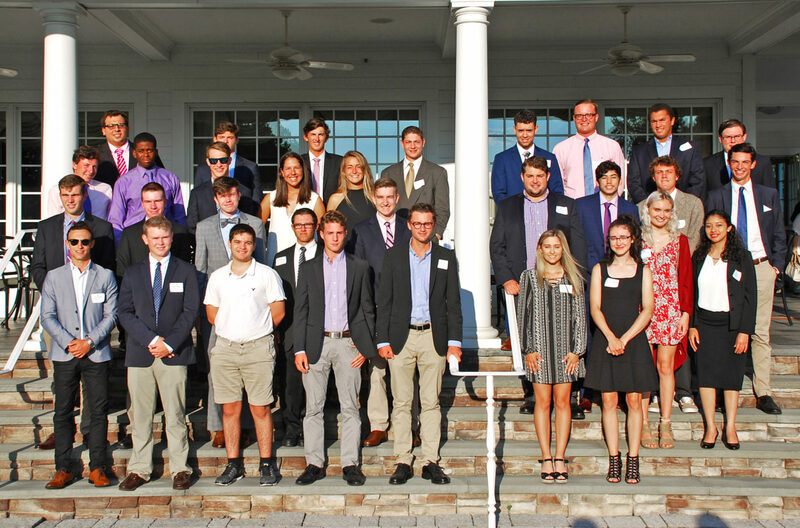 Thirty-eight (38) deserving young men and women who work in service to golf at Long Island golf and country clubs were awarded scholarships at the Fund’s Annual Awards Ceremony on Thursday, August 9, 2018 at Garden City Country Club. This group of scholars represents the Fund’s largest class in its 56-year history. Senior Director, Johanna Gavin, welcomed the new class, their family members, golf professionals, caddie managers, and the Long Island Caddie Scholarship Fund Board of Directors. “In this group of scholars, we have several young men and women whose first language is not English, yet they are Dean’s List scholars. We have a teenage entrepreneur, a musician, an Eagle Scout, and impressively, a handful of D1 athletes,” she stated. President Michael Sullivan of Garden City Country Club, and LICSF alumnus, explained that the new class will be 38 of 120 total scholars who will be receiving $285,000 in scholarship aid for the 2018-19 academic school year. Since the Fund’s inception in 1962, the Long Island Caddie Scholarship Fund has awarded more than $4.3 million to 800 youth caddies and young men and women who work on the grounds crew, in the pro shop, on outside services. Scholarship eligibility includes financial need, satisfactory academics, and two years of service to golf on Long Island. Ten scholars were selected to say a few words about this opportunity, including Gene Alvarez, the 2018 recipient of the Keefe Family Foundation Scholarship, awarded to a highly accomplished candidate with an interest in economics or finance. Having completed his sixth summer caddying at North Shore Country Club, where the LICSF was Founded by Mr. George Sands, Gene will be starting SUNY Binghamton in the Fall. The complete list of LICSF scholars awarded for the 2018-19 academic year, listed by club, can be found here.